The next meeting of Beara Historical Society will be held in Toomey’s Lounge Bar at 8.30 pm on Monday 18th April 2011. Irish Fisheries and charting the EU Fisheries Policy. The Society is pleased to announce extending membership of our Heritage Photo Site and Genealogy Discussion Forum to all on RootsWeb:- Beara-L (List), the Boston Beara Society, local Schools and to all others with connections to Beara. On the Heritage Photosite you can upload your old family photos of Beara and browse other members photo albums or share genealogical questions and information on the Forum. For instructions on uploading your photos, click on the image of 'Main Street' below. The Heritage Council of Ireland designated 24th – 31st August 2008 as National Heritage Week and asked local groups and communities to arrange heritage events in their areas. 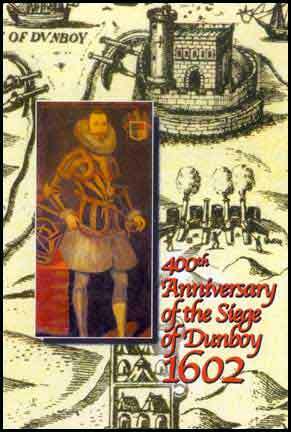 To celebrate the 400 anniversary of the Siege of Dunboy the Society released a VHS, now by popular demand and to coincide with National Heritage Week we have produced a DVD version which is 'Region free' and will play worldwide. It is available from all the usual outlets in Beara or for €15 including postage worldwide from the Society. Beara Historical Society have launched Web-Based Heritage Discussion Forum at its November Meeting to coincide with the 25th anniversary of its founding on 14th November 1986. Beara - A Journey Through History by Daniel M. O'Brien. Minor Revisions will include Grid Reference to match current Ordnance Survey Discovery Series Maps No's 84 and 85. 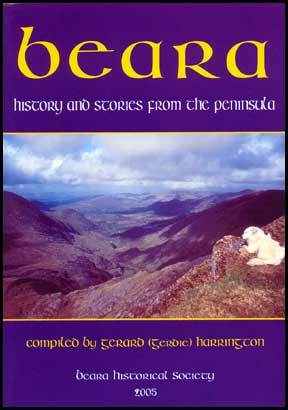 Beara's Pictorial Past Volume1 is now sold out. We intend publishing a Second Edition in the near future. Bank Place, Castletownbere, Co. Cork, Ireland.